I can't believe how much amazing feedback I've been getting from people. Suggestions...praise...ideas...criticism...I'm digging it all! Please feel free to comment on these posts and pics or email me with questions or comments. I have some new ideas in the works which hopefully I'll be able to put up in the next week. Just wanted to post a few pics of some new pieces. A little taste of what you'll see at the DIGABLE ARTS FESTIVAL! The Loop art show was amazing! Had to be hundreds of people there and 30 there to see little old me. I was honored that so many people came out to support me. THANK YOU! I also sold 4 pieces. Very exciting. Got great feedback from the other artists there as well. I just want to thank Tim again for putting it all together and the Loop for hosting an awesome event. Check them both out on facebook. 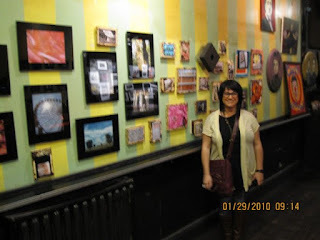 Loop Lounge and Loop Lounge Art Show. Friend them and then check out all of the future events planned. Here are a few pics from the evening. 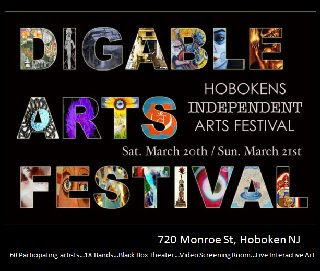 NEW NEWS .I was just accepted into the Digable Arts Festival. The Festival runs in March over a weekend, the 20th and the 21st. I'll be sure to post info and invite everyone when I hear about details. Pretty exciting stuff. www.dogruncity.com or check them out on facebook.